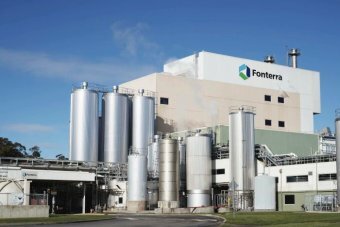 Fonterra’s Board has given the green light to spend NZ$555m on increasing its processing capacity to help meet global demand for dairy products. On the same day that it announced a major deal with a Chinese infant food manufacturer, this investment, totalling NZ$555m (€320m) will grow the co-op’s processing capability and allow more flexibility to better optimise production, according to Fonterra’s CEO Theo Spierings. “Our strategy is to increase earnings by driving more milk volume into higher value categories globally by turning the wheel from commodities to higher-margin products,” he said. · It will use the latest energy-efficient processing and water reuse technology. · Anhydrous Milk Fat (AMF) plant capable of processing 550,000 litres of milk into cream per day. Fonterra Managing Director of Global Operations Robert Spurway said the Co-operative has invested more than $1.8 billion to grow processing capacity since 2011. “We are investing ahead of the milk growth curve to give us the flexibility to take advantage of relative market prices, including during the peak season. It will also accommodate growth from existing farmers and new volume from joining farmers,” he said.